35% of the costs of generating compressed air go to waste*. Often the 4th utility in manufacturing, it is the most overlooked. Inappropriate use, incorrect settings and leaks all add to the inefficiencies and losses that accumulate over the life of the system. 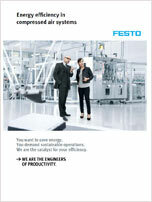 Festo’s Energy Saving course trains maintenance technicians on compressed air systems on the methods and practices to reduce leaks and inappropriate use. *Source: Compressed air systems in European Union ISI 2000. Do you know what your actual energy saving needs are in relation to air consumption and usage in production areas? We conduct an Energy Efficiency assessment at your premises to see how savings can be made sustainably and without the need for an expensive initial outlay. Click here to register your details for more information. 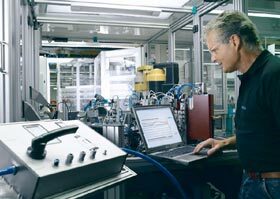 Find out the relative costs of setting up and running a compressed air system. Eliminating waste. Improving productivity. Reducing environmental impact. All of these are common KPIs. In this article, Gary Fuller explains how to effectively achieve targets and sustain improvements.